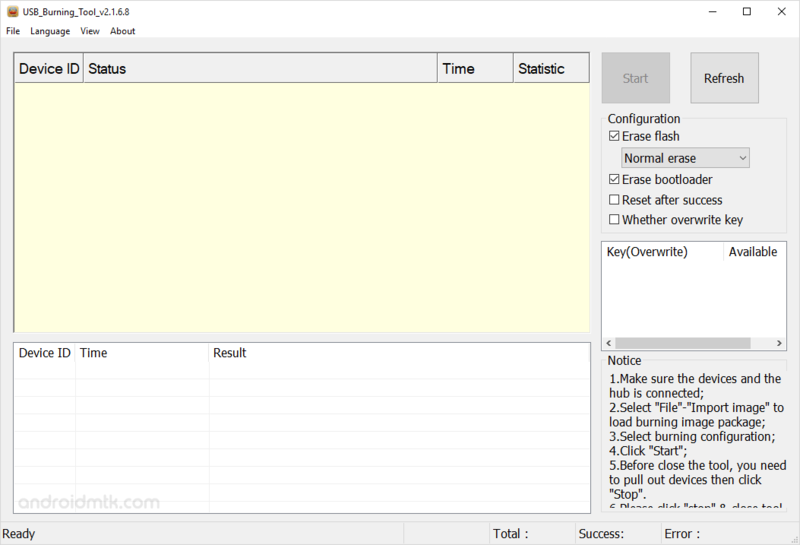 Amlogic USB Burning Tool is a small tool for Windows Computer which allows you to flash Stock Firmware on the devices powered by Amlogic Chipset. Here on this page, we have managed to share the latest version of Amlogic USB Burning Tool along with the previous versions. Amlogic Burning Tool is compatible with all versions of Windows OS, including Windows XP to Windows 10 (both 32 and 64 bit). If in case you were searching for the latest version of the tool, then you can use the following links to download it on your computer. [*] How to Use: If you want to learn to use the tool to flash the stock firmware, then head over to How to use Amlogic Burning Tool page.